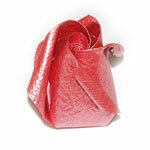 If you haven't folded any origami rose before, welcome to the fun of folding origami rose flower. Since we are dealing 3D-model here, it might be very hard for you to get started with 3D rose initially. There are many sites giving instructions for 2D-models (you can search the web using "origami" as a key word). 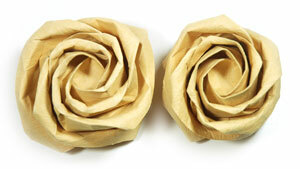 If you are confident with 2D-models, then you can start with "Easy Origami Roses" here. They are easy compared to other intermediate/advanced models but you might find them to be difficult since they are one dimension higher than 2D-models. But before start working on Easy Rose, you need to know some basics of origami folding techniques known as valley-fold and mountain-fold. 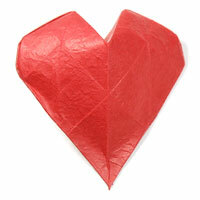 They are shown in How To Make Origami page. After you learned what valley-fold and mountain-fold are, you need to practice them with some simple origami models. If you have not folded an origami crane before, it is a good practice to learn it now. Origami crane will teach you not only valley and mountain folds but also more advanced technique called "inside reverse-fold". 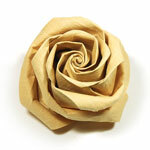 If you are becoming comfortable with these roses, then you can start working on intermediate-level origami roses such as Standard or Spiral Rose. Try to learn all of intermediate-level roses and if you are becoming comfortable with these roses, then you are ready to work on advanced-level roses such as angled Kawaski rose. Please be patient and don't rush. If you do it gradually, then some day you will be able to fold a the advanced-lelvel rose that you would have dreamed about. 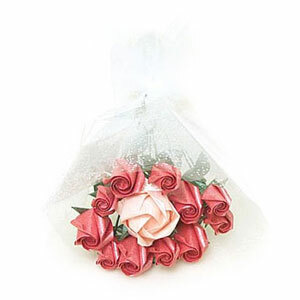 You can make origami roses for Mother's Day, Father's Day, birthday, first anniversary, proposal of marriage or any special occasions. 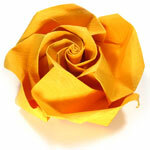 If you are interested in origami flowers not rose, then you need to go to this link. u-and-me bouquet with 12 single standard roses. 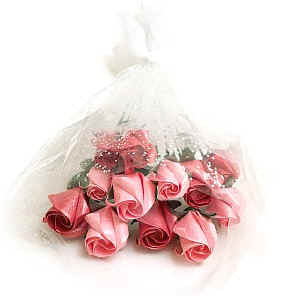 only-U bouquet with (1) QT rose, (2) 11 standard roses, (3) calyx, (4) two leaves, and (5) stem. 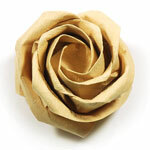 If you make a complete rose with paper stem, calyx, and leaf, then this tutorial would guide your way. The choice of the rose is the lovely rose here. If you want to make a complete rose with a wire stem, calyx, and two leaves, this tutorial would teach the way to do ti. The choice of the rose is the standard rose but you can change it to other rose. 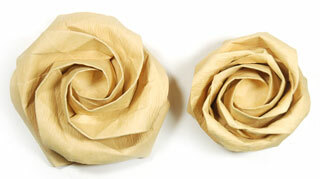 If you are a beginner in origami, you need to try these roses first. You will need to learn how to read diagrams which are a picture and set of lines given as origami instructions to fold a paper. At least, you need to know what valley-fold and mountain-fold are. 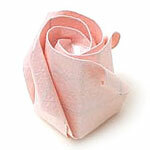 Have a fun folding a rose with an origami paper! This is an easy version of origam rose. This rose starts from bird-base. 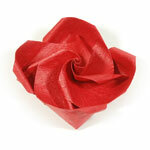 This is an easy version of origami rose called "spinning top rose". The characteristic of this model is the spiral effect on the center. 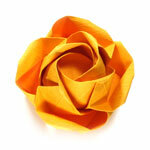 This rose is an easy version of origami rose. It employees a modified bird-base which starts from a paper rotated 45 degrees. 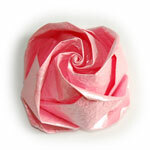 This rose is also an easy version of origami rose. it is similar toLovely Rose as Easy Rose Ito the Spinning Top Rose. If you are an intermediate folder, you can skip "Easy Rose" section and jump right on this section. It is recommended to learn folding "Standard Rose" as well as "Spiral Rose" before working on any other models since they both have a key concept which apply to other advanced models. 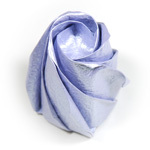 After you finish folding your rose flower, you might need calyx, leaf, and stem to complete your rose or you might just need a base for your rose. 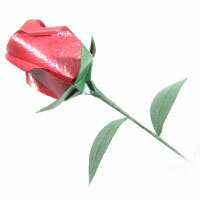 The rose (or rosebud) was designed by Hyo Ahn. 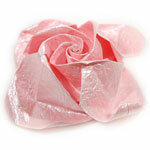 This rose simulates rosebud which means that it is the youngest family member of all rose flowers. . 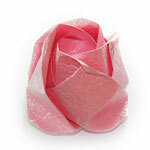 This rose is a multi-petal version of the Spiral Rose Flower. This is the famous budding & half-bloom roses by Kawasaki. 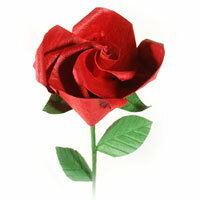 This rose flower was originally designed by Toshikazu Kawasaki. This is the simplistic rose design he made out of three. This rose is a multi-petal rose. The rose is similar to QT rose in body structure. The difference is in the center part of the rose where it is still in the state of budding. This QT Rose Flower simulates mid half-bloom rose flower where the center part of rose opens a quite a bit but the petals not extended outward yet. The beginning part of folding is the same as Kawasaki rose (KR) so if you have folded KR before, then it would be easy to follow. This rose represents a late half-bloom rose flower. This is the famous full-bloom rose by Kawasaki. It starts with a 8x8 matrix base. If you have mastered all the intermediate roses or if you think intermediate roses are too easy for you, then you can start work on advanced roses here. New Kawasaki rose (KR) would be a good choice for you to start with. After that you can work on New Swirl KR or Fuller-Bloom New KR. This rose is the latest and the most advanced version of the rose he designed. This rose is a modified version of new rose of Kawasaki with swirly effect at the center. The rose is the fuller-bloom compare to the original one. The rose is the fullest-bloom compare to the original one. 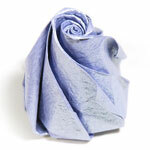 Here you can learn folding a pentagon paper to make five-petals origami rose. If you have not learned folding four-petals origami rose, it is recommended to learn it first before working on five-petals one since it is more difficult to make five-petals rose. This is the five-petals version of easy rose I. 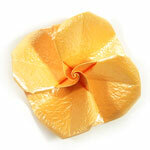 This is the five-petals version of easy rose II, spinning-top rose. 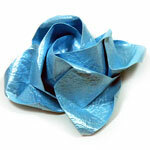 This is a five-petals version of Lovely Origami Rose. It is a little complicated compared to the four-petals rose. I urge you to learn four-petals version rose before working on this five-petals one. 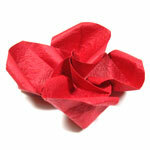 This five-petals standard paper rose is a little difficult to fold compared to the four-petals one. 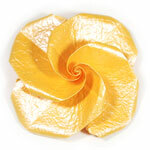 If you are interested in other origami flowers, then you need to go to this page to find out many origami instructions for origami flowers. I would like hear your comments on these instructions. So don't forget to email me at . And also If you find any bugs on any page, please don't hesitate to email to me. Please note that the designer indicated as "Unknown" is unknown to me. If you happen to know the original designer, please let me know so that I can correct it. Also the designer indicated as "John Doe / Hyo Ahn" means that John Doe originally designed it and it was modified by Hyo Ahn.